Imagine receiving a phone call from The Hobby Company (Tamiya UK) asking if you can help out to create a series of Epic RC stunts for a mass advertising campaign to promote an iconic motoring brand? Well that is what happened to us at TheRcRacer in the late summer of 2016. 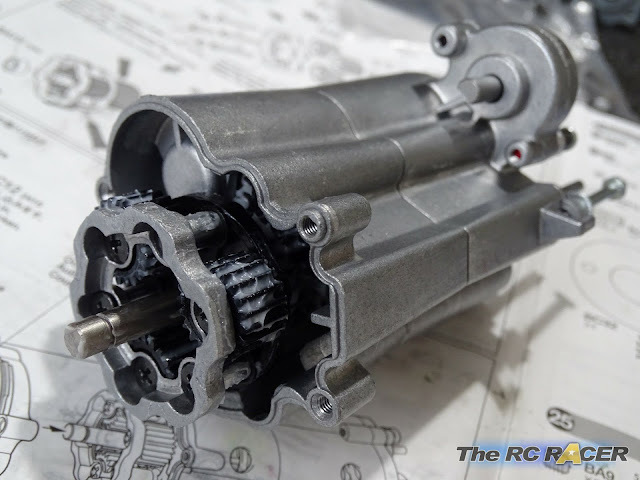 Details were sketchy, but we obviously said we wanted to help and that was the start of an exciting venture where the RC and Motor industry collided. Details were very limited at first. After the NDA was signed we found out that it was to help promote the 2017 Toyota Hilux. 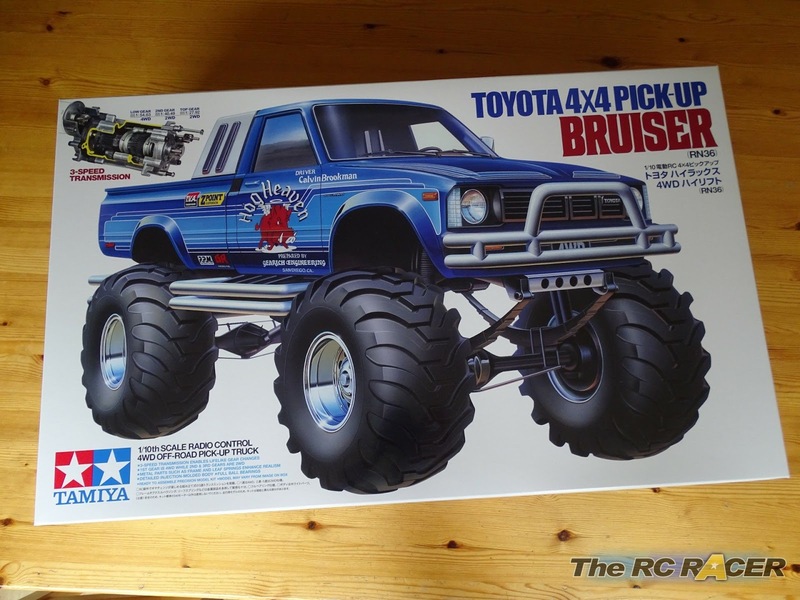 To do this Tamiya were going to use the 58519 Toyota 4x4 Pick-Up Bruiser. Although we then discovered it would be more than one kit.... 15 to be exact! Kit No1 of 15! ulp! 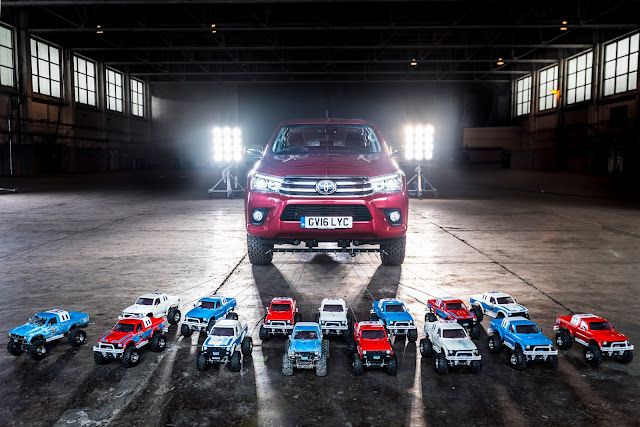 The Tamiya Toyota is widely regarded by many to be the pinnacle of radio control model kits. They have a solid steel chassis that holds a steel 3 speed gearbox that can switch between 2 and 4WD. This engineering marvel is then topped off with Tamiya's signature high detailed ABS shell that is a marvel of detail. That is how we would supply the final kits. We could open the diffs or take off the gear change lock to allow drivers to use all 3 speeds if needed. We will have a detailed build and review later in the week for you all to enjoy. The build itself though was very enjoyable. This kit comes at a premium price and that is because the majority of the kit is all cast metal. 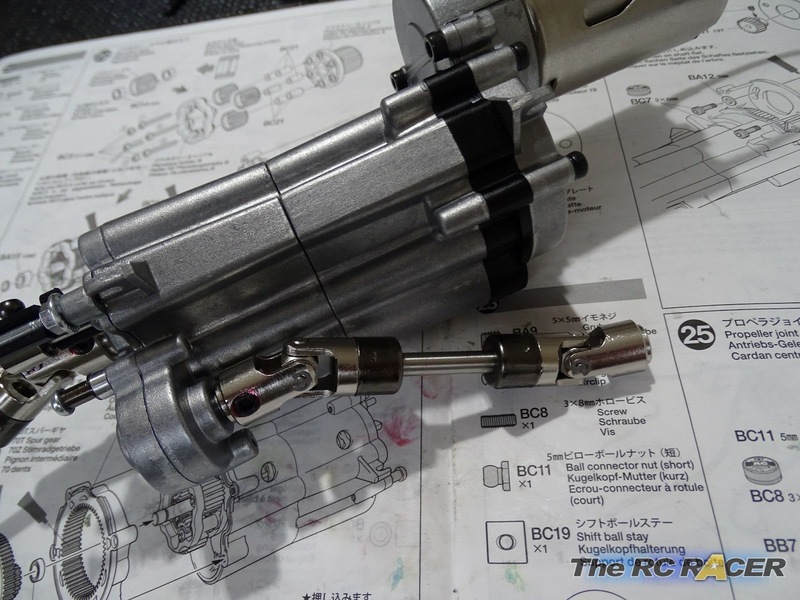 It doesn't feel like you are working on a RC kit, it feels more akin to working under the hood of your own car. The first build of each kit took roughly 12-16 hours. 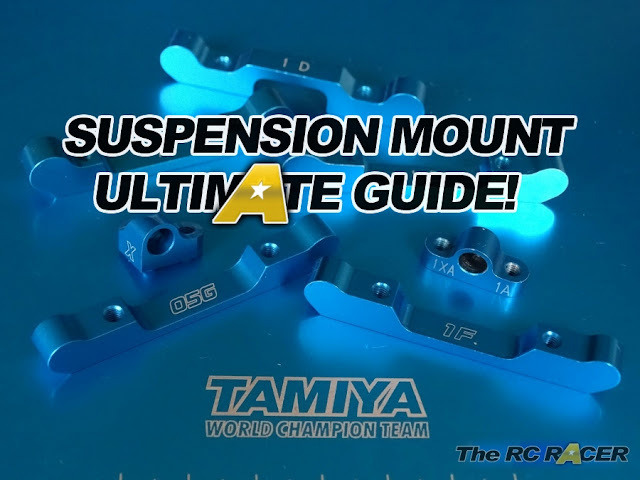 Tamiya are renowned for their detailed and clear instructions, so every stage is easy to follow. However the late nights involved and also the intricacy of the build did lead to everyone initially taking their time. The gearbox itself is a marvel, the main gear shaft and shift rings require a lot of time and patience as this is the heart of the truck. 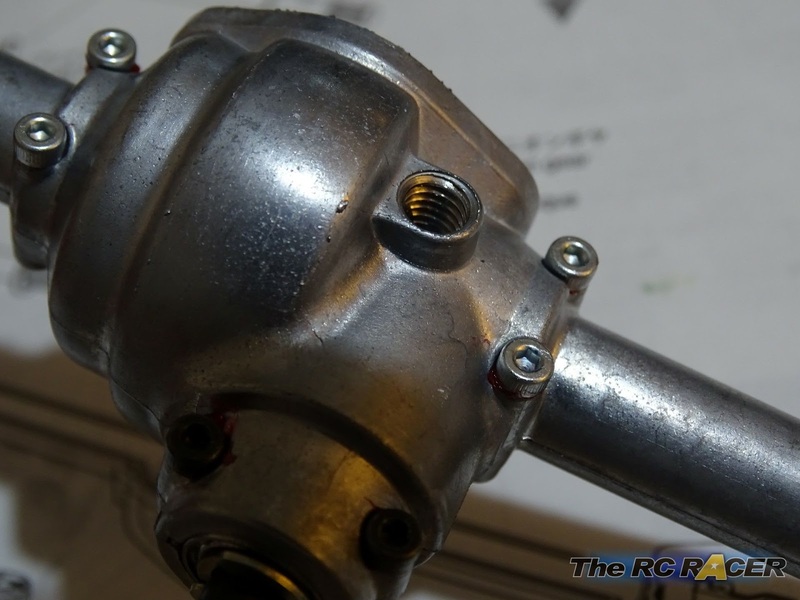 Once the gearboxes were finally assembled, a standard kit 540 motor was attached. The the universal prop shafts to drive the gearboxes were then assembled. After a few more hours the chassis was complete... although what about the shells! 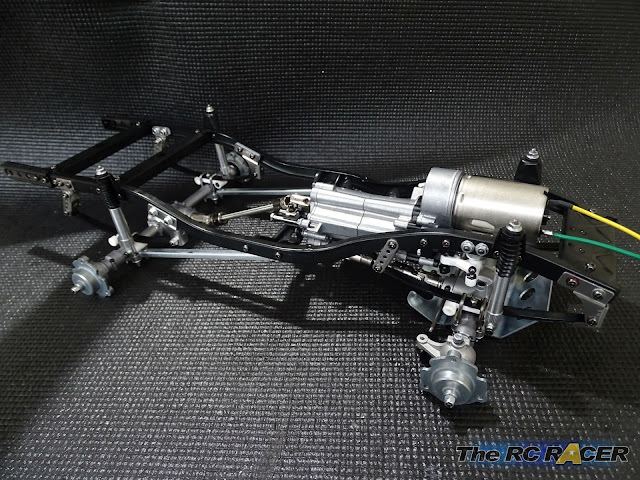 Inline with the highly detailed and intricate chassis, the body shell is also of the similar ilk. We were not going to build the shells, instead step up Matthew Elvin. He usually is painting race cars, but he also stepped up to spray the Bruisers. 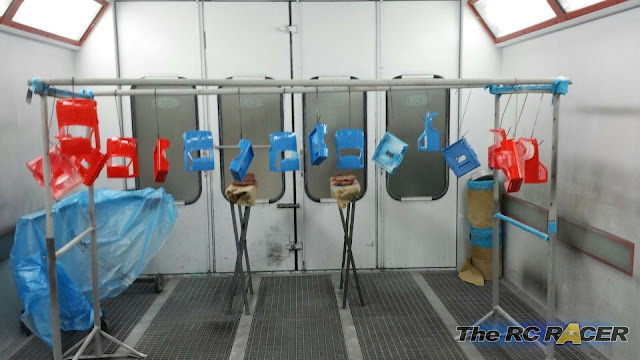 With the shells mounted onto a spray rig he set about working on bringing them to life. There were to be 3 different colours to represent Tamiya's iconic logo. 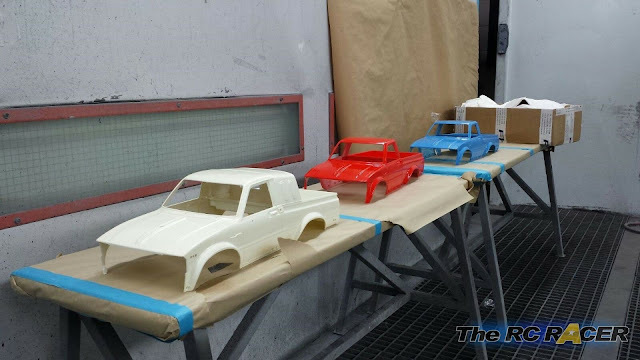 Matthew worked away on the shells and made a fantastic range of different variations of the classic truck. The trucks were now ready. Now we waited to put them through their paces. 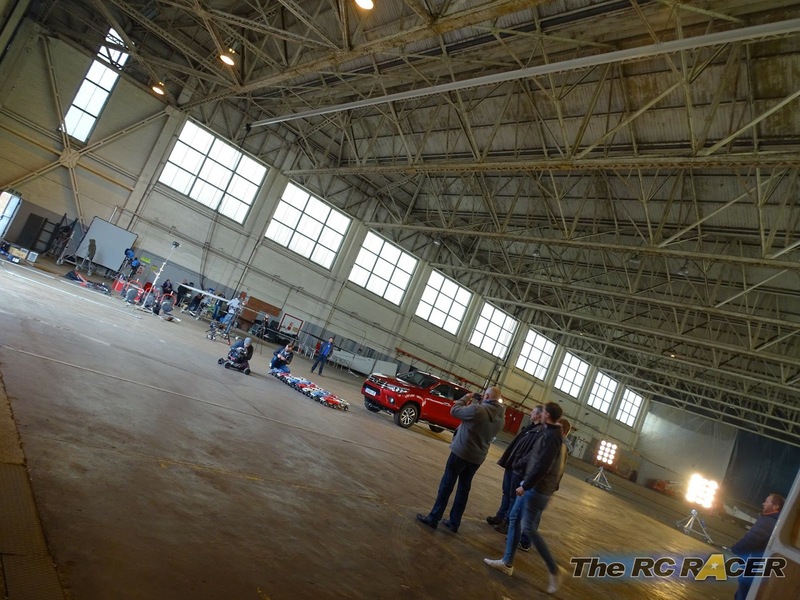 We were called together at the start of February to a big hanger at an airfield outside Bicester in Oxfordshire. Here we could see the scale of the operation. 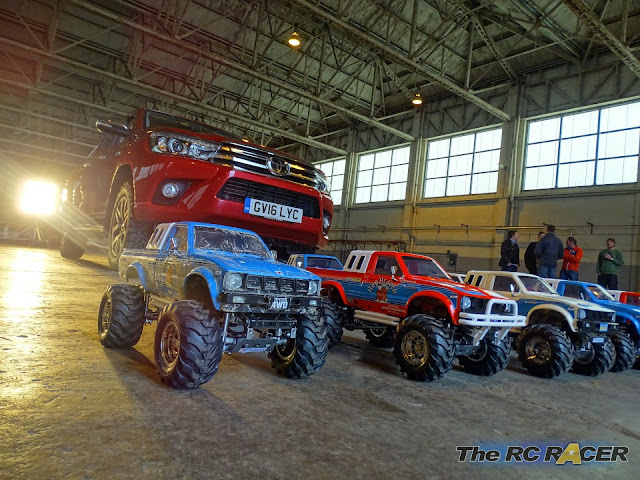 The film crew were busy working away and we noticed the Large Toyota Hilux sitting there with our models lined in front of it. We were excited and nervous about the day. 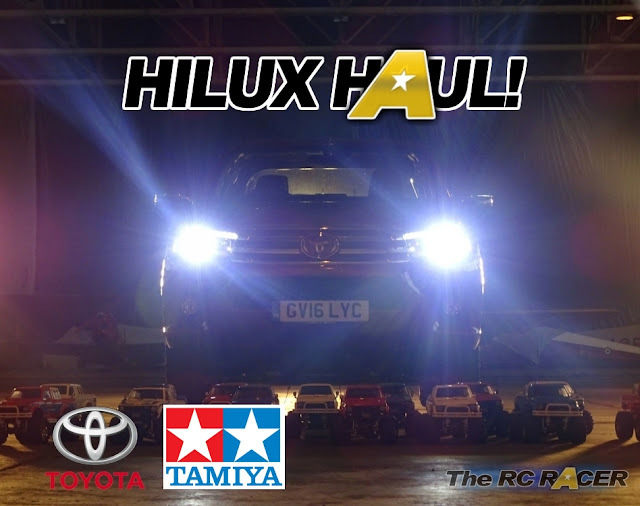 We were going to re-produce the classic Tamiya stunt but with the latest Toyota Hilux. You might think that it would be easy, it's been done before but there is quite a difference. The original Hilux weighed in at 1.2 tonnes. We were pulling the 2017 Hilux Invincible double Cab which weighs in at a mighty 3.1 tonnes. As if 3.1 tonnes was not enough to pull, the Hilux also had to have a driver who would activate the brakes in-case of any issues. Alongside a heavy duty steel brace that was mounted to the underside of the Hilux. This had 15 eyelets that the towing cables would be attached to for the Tamiya trucks to pull. 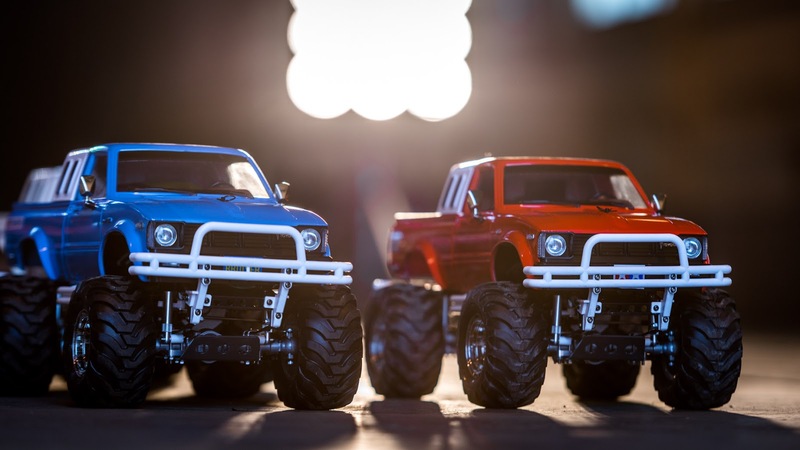 The Trucks themselves were all standard, with 540 motors, locked diffs and set to 4WD. They also had a metal brace attached to the rear that we mounted the steel tow ropes on. 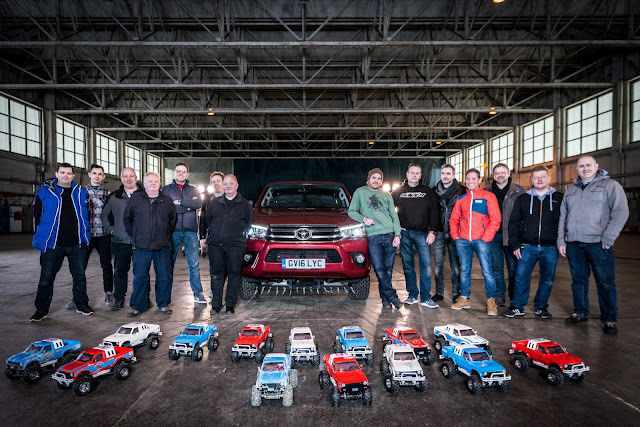 The theory was that they would all be able to generate 2kg of pulling force, so 15 of them would be able to generate 30kg of grunt, theoretically allowing them to pull the Hilux Invincible. The Trucks all had 1kg of extra weight added to help them maintain traction when the toe rope tightened. 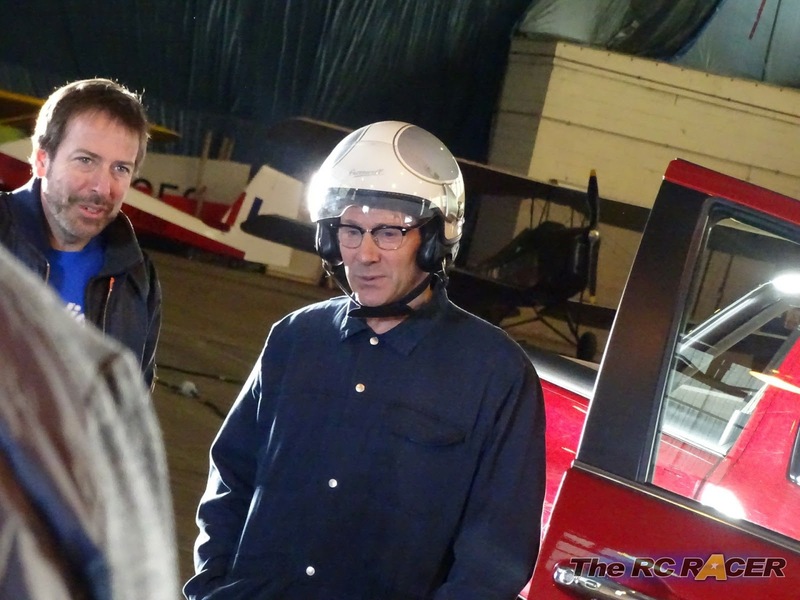 We were all eager to get started and to see if we could perform the stunt. However as you would expect there was a lot of setting up to do. Soon however it was time to do a test run to see if these tough little Tamiya Trucks would be able to pull the Iconic Toyota. Wild Willy made an appearance. We all had our controllers in our hands, co-ordination was going to be key and we waited for the countdown. 3, 2, 1, Go! 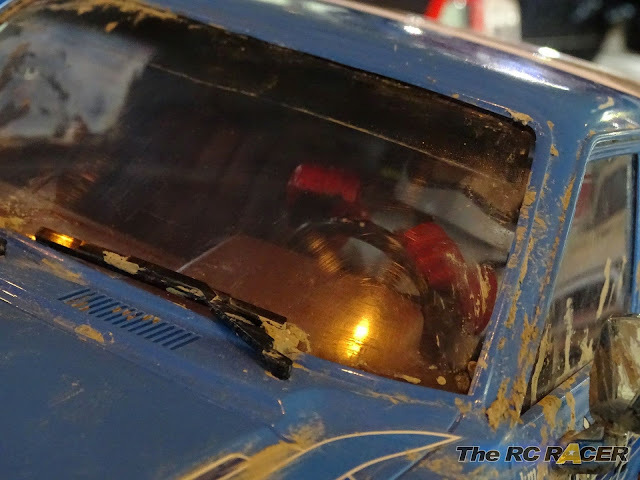 We all hit the throttle, not to hard but still quickly and the cars came to life. A few started to squirrel around however the full torquey 540 motor driving all 4 wheels at the low gear ratio of 1:54.63 started to do its job and the 2017 Toyota Hilux started to roll along the ground. Even above the whine of the motors you could hear a gasp as us drivers watched it gain momentum and we started to get a good amount of speed as we approached the Hanger doors and slowed down and waited for the driver to stop before crushing the Trucks. The practice had been a success, and everyone was buzzing. We all had to lift up our cars as the driver of the Hilux had to start up the Truck and gently reverse to the starting spot so we could start actual filming. 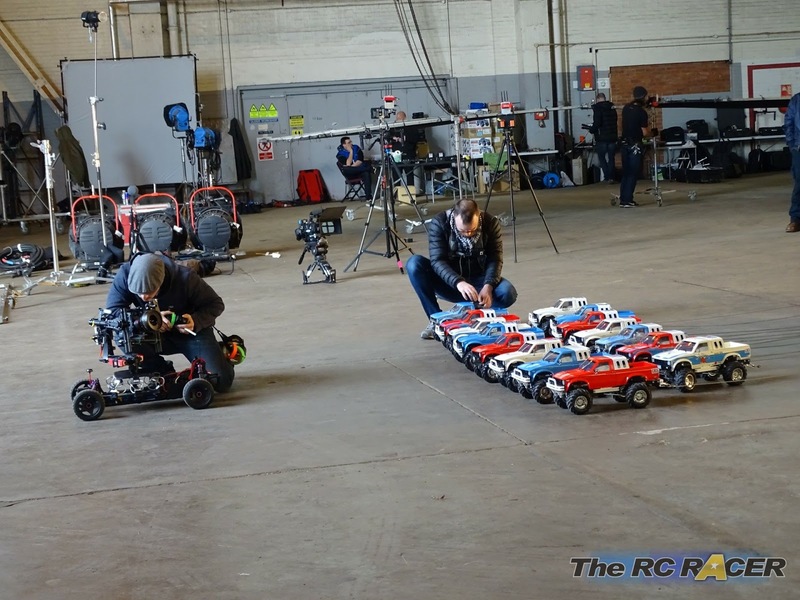 The film crew checked the lighting and even wheeled out one of their own RC cars. This was a complex dolly rig that they would use to get some low level action of the Tamiya Bruisers as they performed the pulls. With the first practice pull out of the way we all itching to go again. 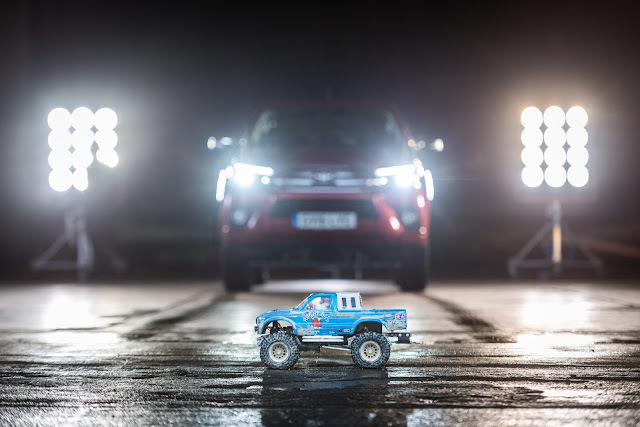 We were all amazed not only on how the cars had managed to pull the 2017 Toyota Hilux, but they made it seem quite easy and actually would get up to a good turn of speed. There was no doubt that this little Tamiya Truck was an example of fantastic Japanese engineering just like its real life Toyota counterpart that it was towing! 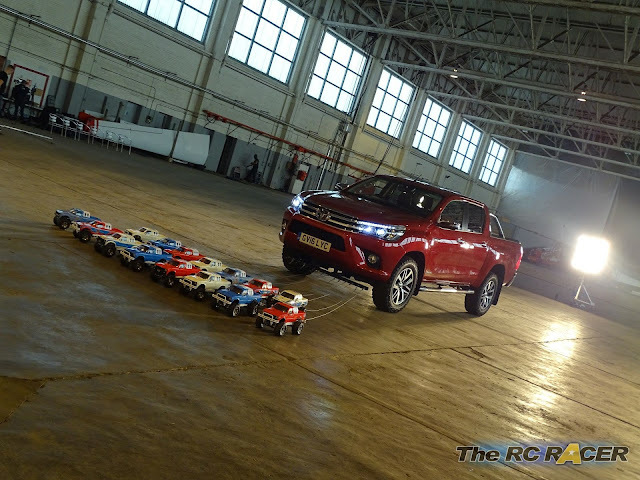 It was a full day where we did many takes pulling the 2017 Toyota Hilux with the 58519 Tamiya Toyota 4x4 Bruiser. Here is the result! 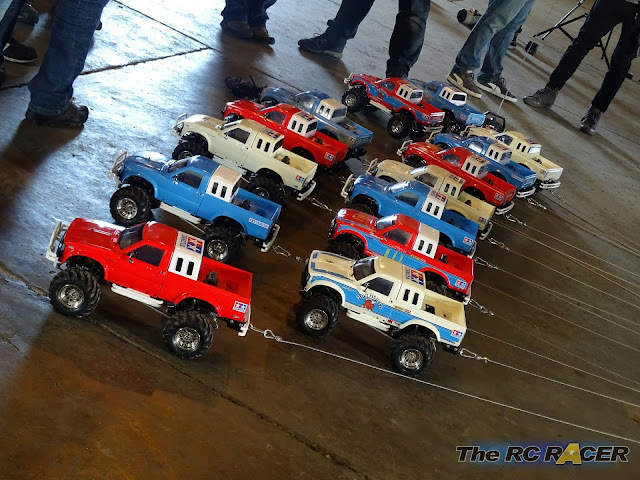 We also did some more driving moves with the Tamiya Bruiser once they where unleashed from the tow ropes. Check out some of the adventures it had! I would just want to thank Terry Cresswell, Brendan Mcnulty, Paul Woodward and Rich Armstrong for their help. Tamiya, The Hobby Company and Toyota for letting us help contribute to be a part of these fantastic RC films. If you fancy a Tamiya Bruiser they are Available from your local UK Tamiya Stockist. Contact http://www.hobbyco.net/ for more info.